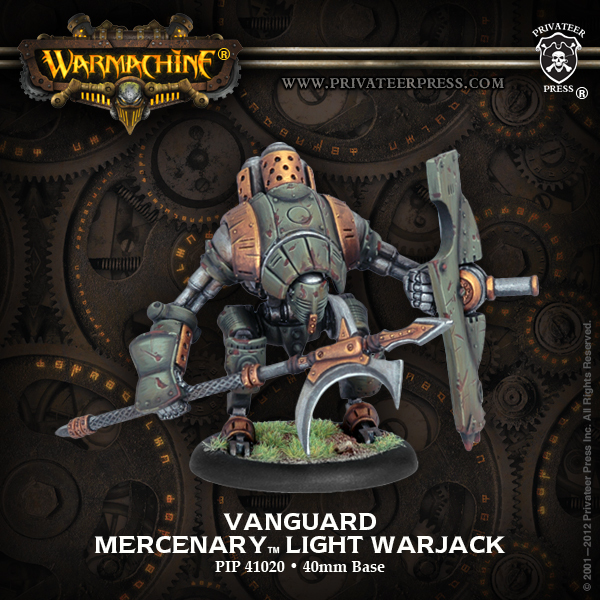 The Vanguard Mercenary warjack recently got a new sculpt. Let’s compare the new and old model, then talk about the role this classic jack has on the battlefield. It’s been over 10 years since the release of the original Vanguard model. Given the age and an overall shift towards to resin it’s not surprising that we’re getting a new sculpt and that it’s using a mix of resin/metal. Here’s what you’ll get in the new kit. Take a look at the 2 different sculpts, they are pretty similar overall. The new sculpt pose is a little squatter, like the Vanguard is actively using it’s Shield Guard ability. With the combination of resin and metal the new model is also noticeably lighter. The Vanguard has some excellent DEF and ARM for a light. DEF 13 plus Set Defense and ARM 19 with the shield makes this a great jack for securing zones or contesting parts of the table. While it doesn’t threaten to crack high armor, the Vanguard is a great piece to tie up or remove cavalry and medium based infantry. 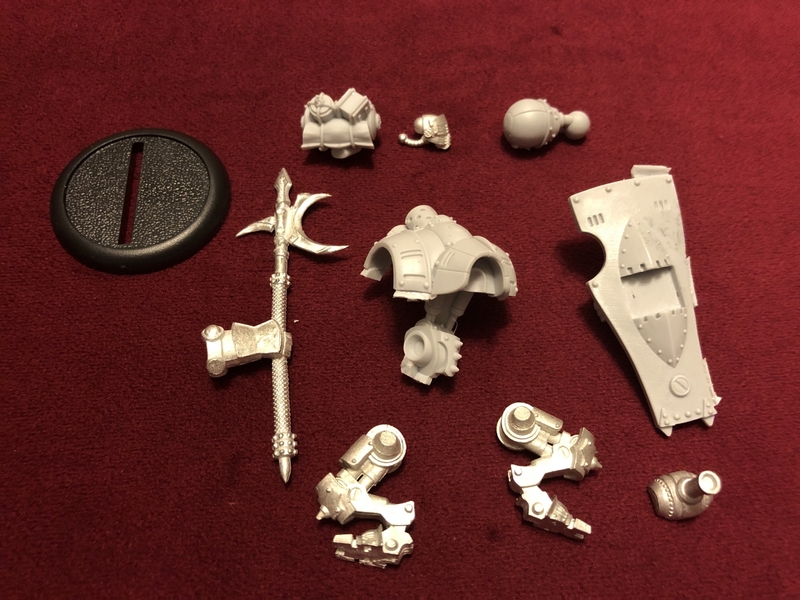 So, what might be a good fit for the Vanguard? Prima Materia Theme in Crucible Guard – This theme allows the Vanguard to use Shield Guard twice! 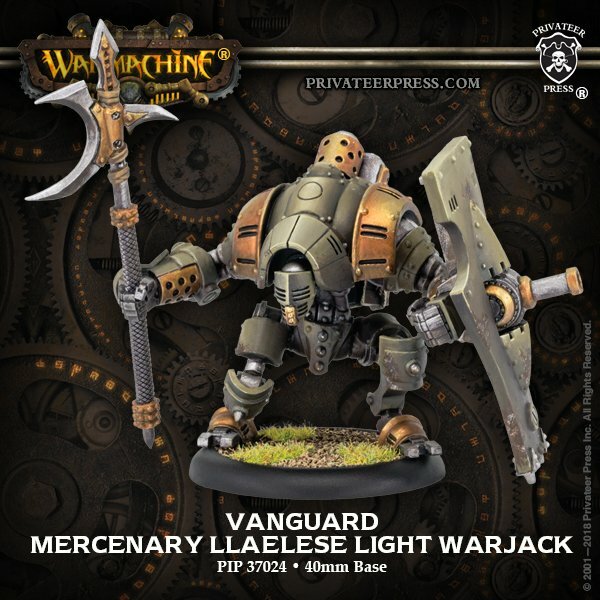 Locke in Crucible Guard – Locke doesn’t mind having a Vanguard for some ranged protection, especially because she’s likely in the Prima Materia theme giving the Vanguard 2 Shield Guard uses. Red Line allows the Vanguard to threaten 13 inches and go to POW 16. With Locke’s Field Marshal [Precision Strike] you might be able to snipe out a key system/aspect on an enemy heavy. Ashlynn1 – Chosen Ground will keep the Vanguard at maximum annoyance levels, keeping it from being knocked down so if the enemy wants to charge it has to deal with Set Defense. On Ashlynn’s feat turn killing a Vanguard becomes a monumental task. Magnus2 – Magnus doesn’t want to see gunlines, as they threaten him when he advances and pops his feat. A Vanguard or two will help keep him alive, plus they also gain Unyielding from his Field Marshal ability. It’s always nice to see models that have been in the game since the beginning remain relevant. While the Vanguard hasn’t been tearing up the meta, it still has a place and several casters that can use it well. 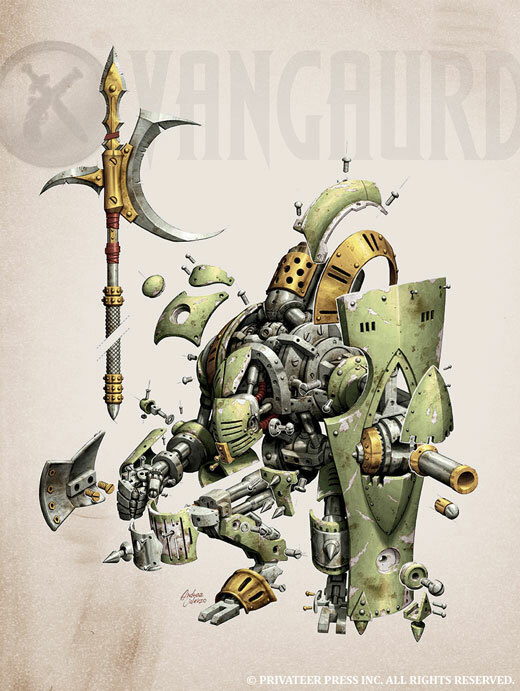 What do you think of the new Vanguard model? What classic model would you like to see get a resculpt?